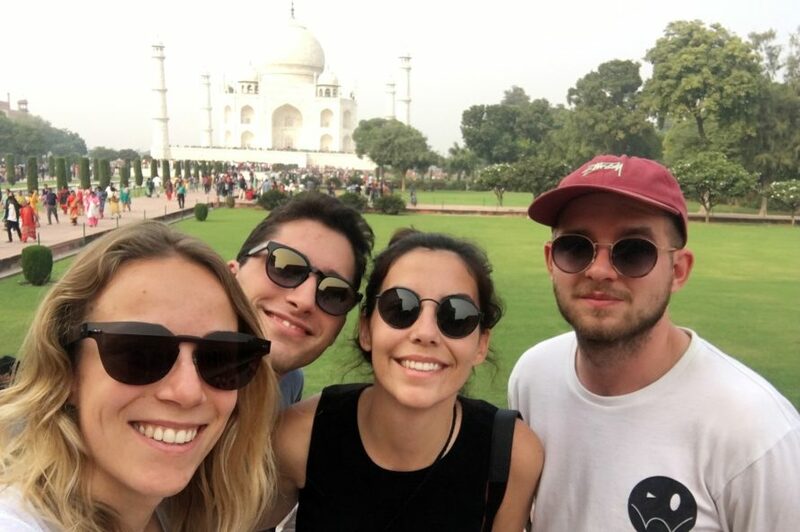 We arrived in Delhi early in the morning on the 4th of November. Between tuctucs klaxons and people running around, the chaos in this gigantic city was impressive. We started our trip trying the best masala chai tea and from there on we started to evaluate every one of them. 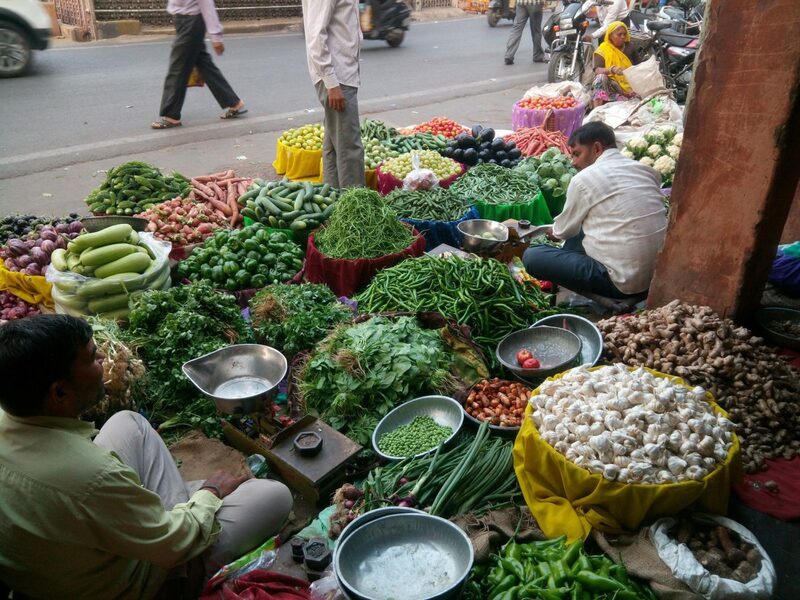 On the same day, we visited the old city with its labyrinth markets, huge temples and the red fort. 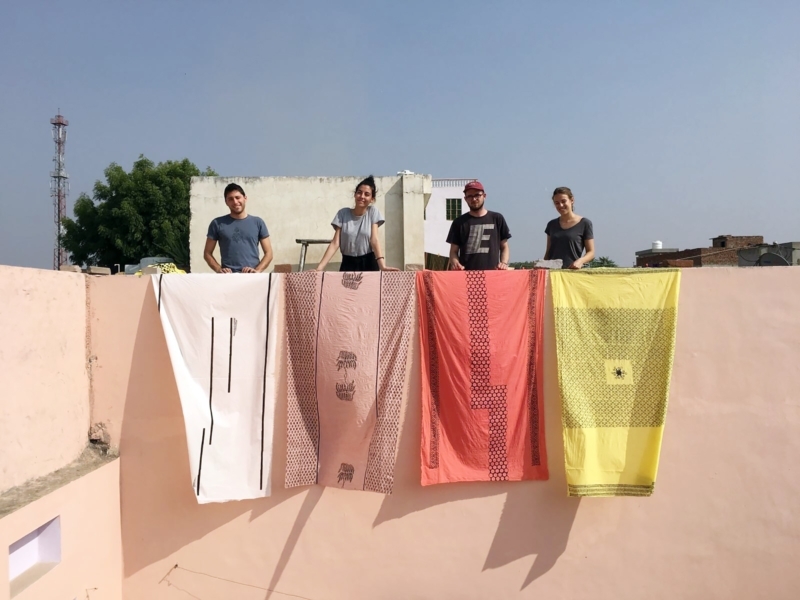 In the evening, we had the chance to have an amazing Indian dinner on a rooftop, which remained our ritual during our all trip in the state of Rajasthan. 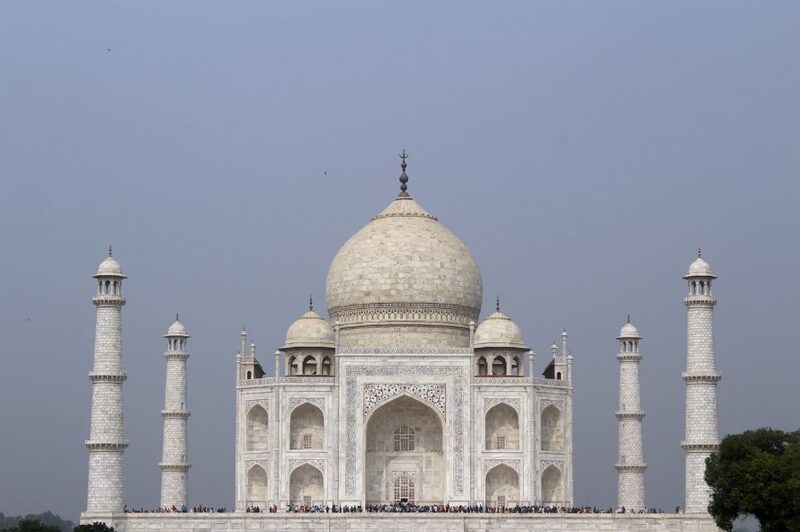 The next day we left by train to reach Agra, the city of the Taj Mahal. 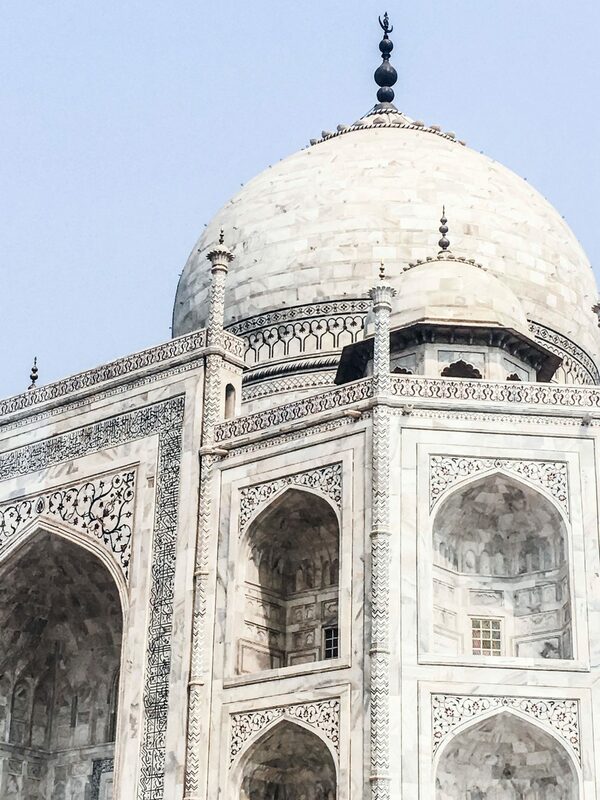 The architecture of this white marble monument is even more splendid by looking carefully at its sculpted decorations. We really appreciated eating the spicy tali dish on rooftops of the city and in the mean while listen to the daily prayer coming out of the minarets. On the 6th we arrived by bus in Jaipur. We manage to enter hidden places which turned out to be wonderful. 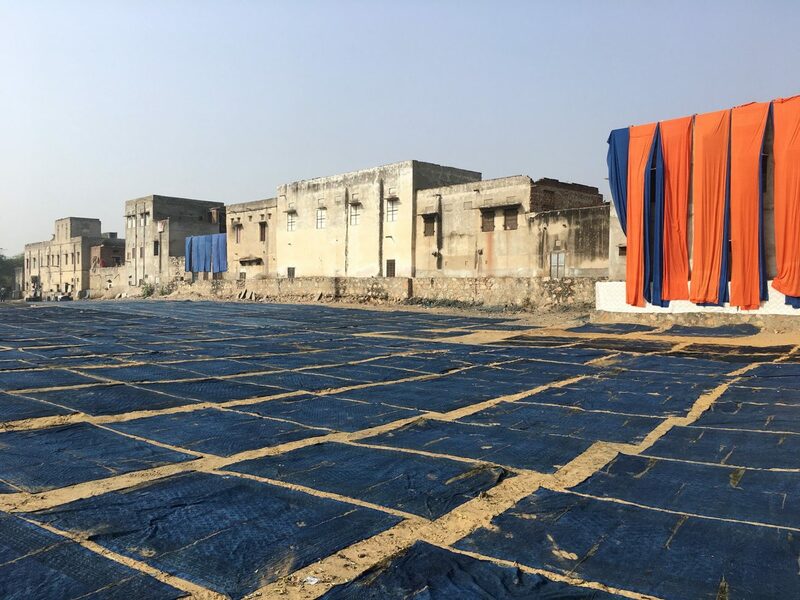 The area of Jaipur is well known for block printed fabrics. So, we decided to attend a workshop with Studio Bagru. 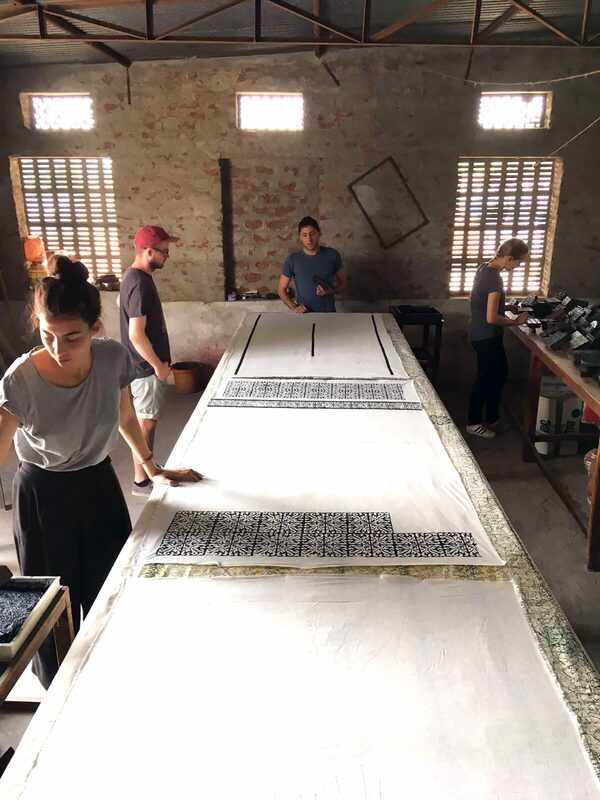 We learned the process and even printed our own textiles. We spend the third day in Jaipur visiting the magnificent pink Palace of winds and the opulent Amer fort located on a hill near the city. We experienced the night train to get to the blue city of Jodhpur. In the charming old town, we got used to try every kind of street food which are amazing. 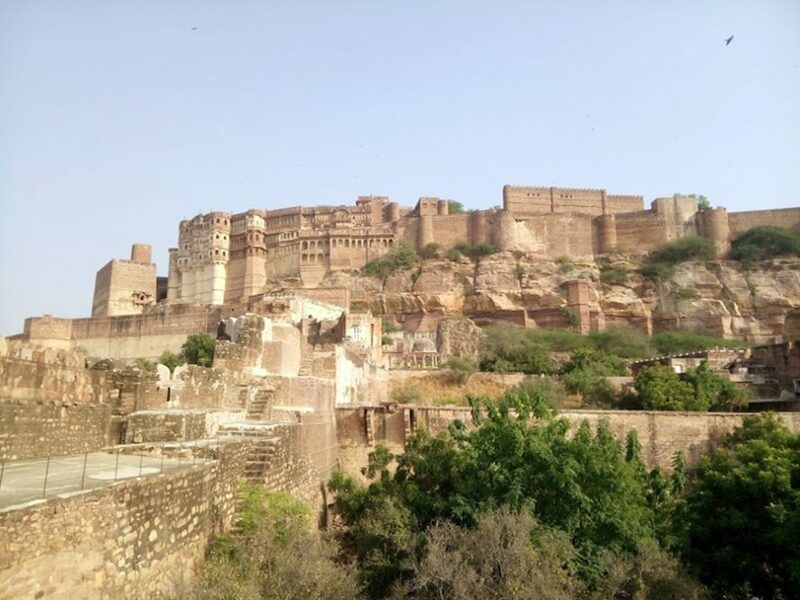 We got to know even better the splendor of the Rajasthan architecture by visiting the Mehran fort and the cenotaph Jastwant Thada. 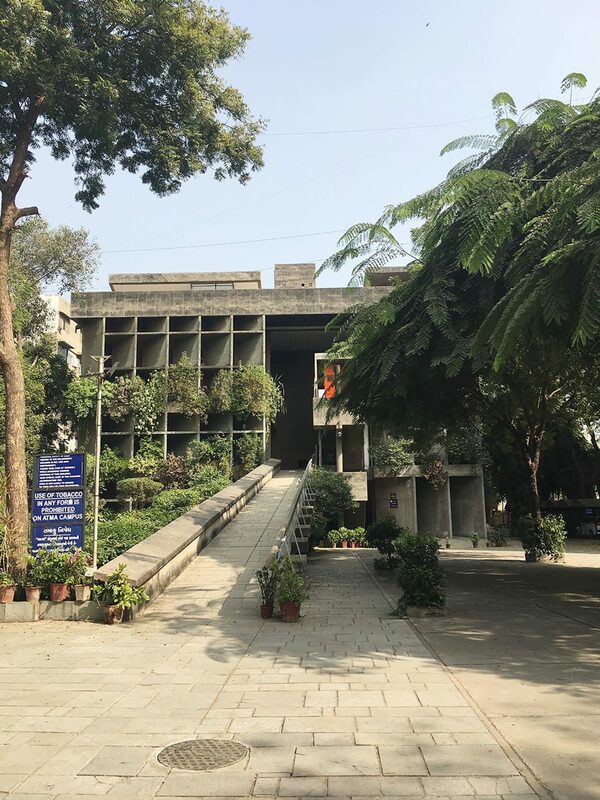 We finished our first week in Ahmedabad where we got to visit modern buildings of Le Corbusier and Louis Kahn. 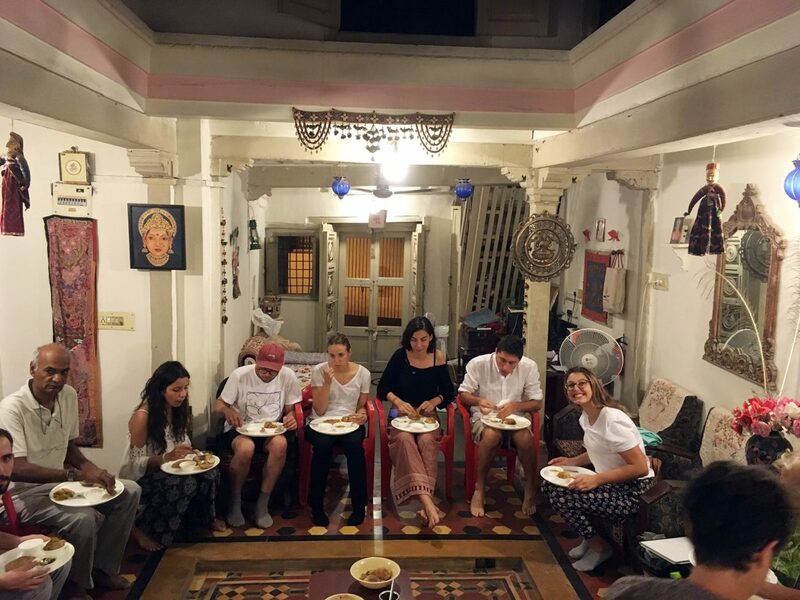 We had the chance to eat a real Indian family dinner at Meta’s place in the Heritage House of Ahmedabad. The following day we flew to Goa to relax on the beach after the chaos of the city’s. We spent four days discovering various beaches and walking in the jungle. Back to the reality arriving in the megacity of Bangalore! 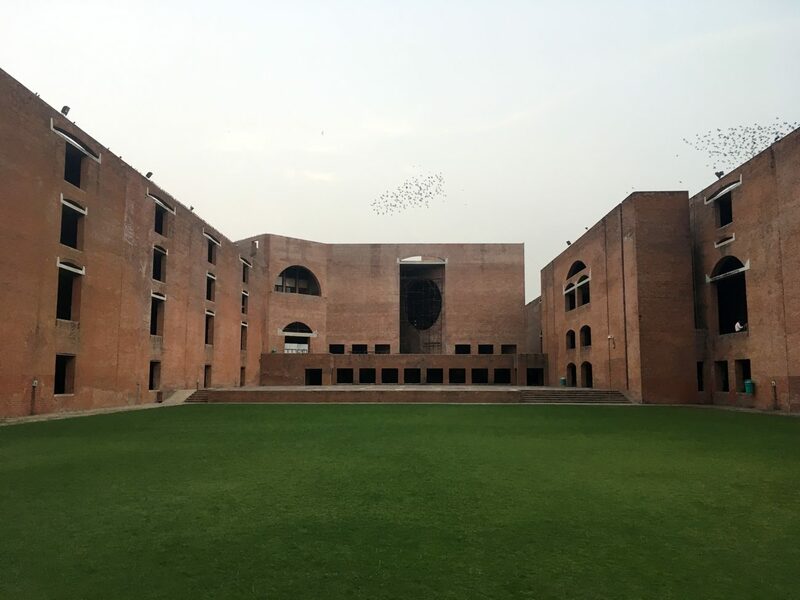 The following week we attended the Cumulus conference - Design for India. We listened to inspiring keynotes and followed different topic talks mostly about ecology and education. We also participated at a interesting poetry workshop and had the chance to visit various studios as for example TATA and Sangaru Design Studio. We discovered the Indian way of designing, which is totally different in thoughts and methods from ours. We came back to Switzerland on the 24th of November, tired after the 21 hours’ journey but with our mind full of amazing souvenirs and new inspirations.